Mr. Beet and I drove from Orlando, Florida to northern Indiana for the holidays. While we have done the drive in past years, this year we took our kittens with us. They are no strangers to road trips as we bring them with us sometimes when we drive somewhere – that’s what happens when you are the cat of a travel blogger. But the drive Florida to Indiana is a long one. We ended up splitting the drive into three days- the first day we drove from Orlando to Atlanta, the second day was Atlanta to Nashville, the final day Nashville to our final destination in the frozen tundra of Northern Indiana. By dividing the trip up, we were able to spend a little bit of time enjoying both Atlanta and Nashville. And while Atlanta is a city very familiar to us, we haven’t spent too much time in Nashville, so exploring the city and its restaurants are new and exciting. 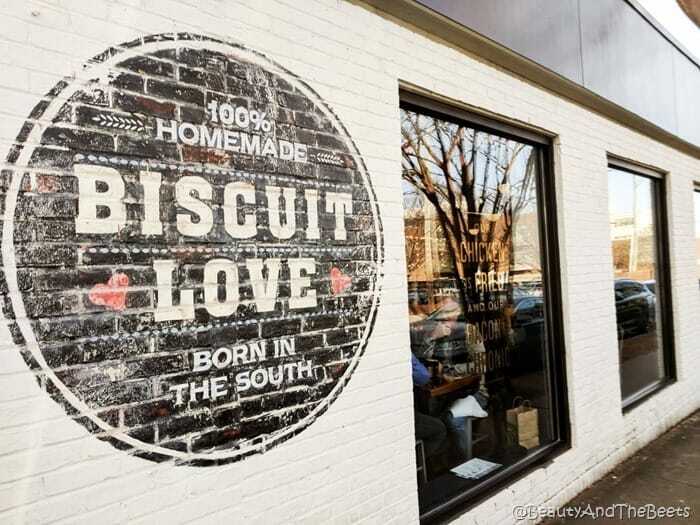 One restaurant we found in the Music City was a very popular breakfast spot called Biscuit Love. There are two locations in Nashville. We pulled up to the first location and saw a line wrapped around the block, and it was 19° outside. Unless those biscuits are being served with a solution for world peace, it was too cold for us wimpy Floridians to stand in line. So we drove to the second location a few miles away near Vanderbilt University, and there was no line. Mr. Beet loved his biscuits French toast but I fell in love with my non-biscuit dish. It was called the Lindstrom. 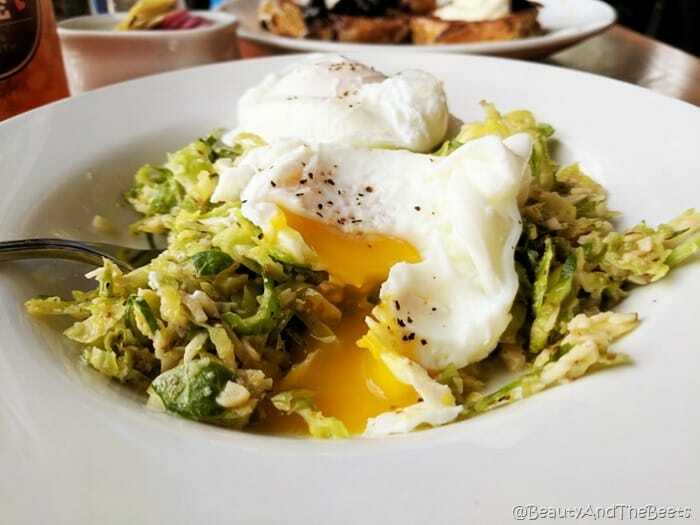 Shaved Brussels sprouts with hazelnuts, parmesan cheese and a lemon vinaigrette topped with two poached eggs. And if you are a regular reader of Beauty and the Beets, you know that I love to recreate my favorite travel food finds once I return home. I could not wait to remake this Lindstrom in my own kitchen. 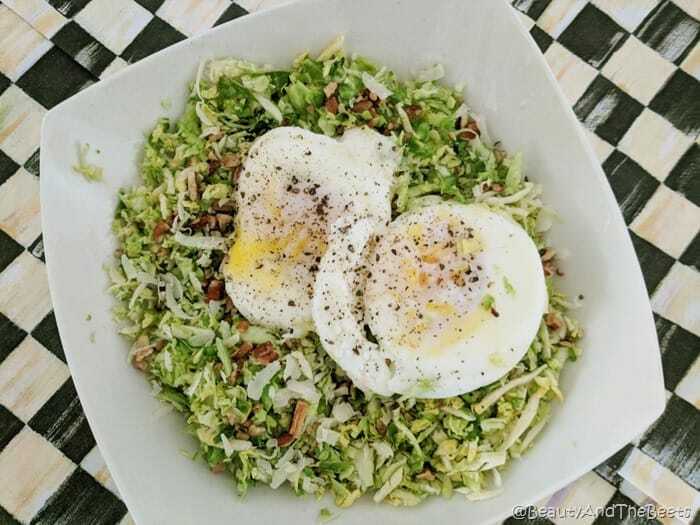 So, now, let’s get back to this amazing dish – I call it Brussels Sprouts Hash with Poached Eggs. Simple, to the point. I swapped the hazelnuts out for pecans, and cheated making the poached eggs. 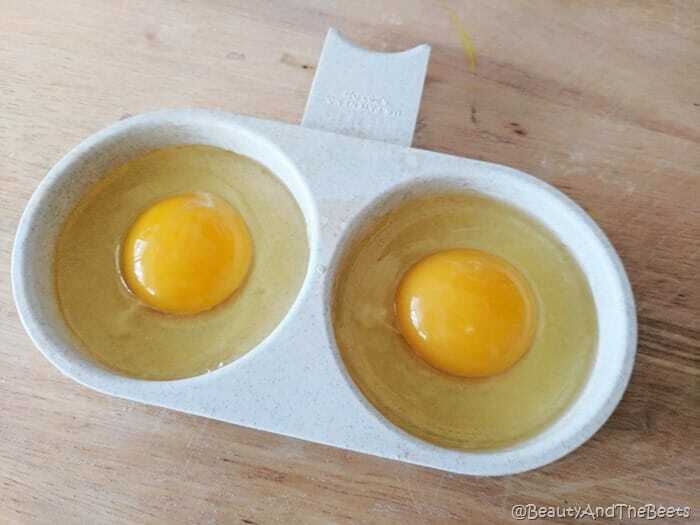 I made my poached eggs in the microwave with this Nordic Ware Microwave 2 Cavity Egg Poacher. You may call it cheating, I call it saving time and aggravation as I have no talent when it comes to making poached eggs the traditional way. I am all about saving time, especially in the morning for breakfast when I am usually starving. 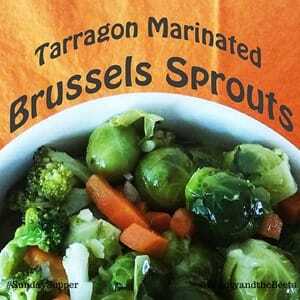 As Brussels sprouts have become more popular and mainstream, many grocery stores are selling them already shredded. However, you can easily buy them whole and shred them via an attachment on your food processor, or use an old fashioned box grater. 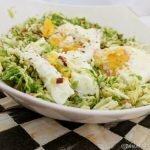 I tossed the shredded sprouts with the lemon vinaigrette, add some chopped pecans and shaved parmesan cheese, then topped it with the poached eggs. Could not be easier, right? 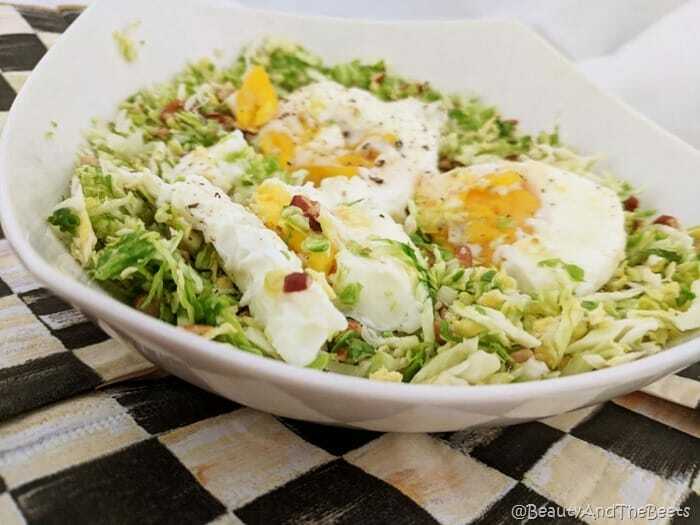 If Brussels sprouts aren’t your thing, swap the sprouts out for shredded broccoli, or even cauliflower rice. The possibilities are only limited to your taste buds. Enjoy! Inspired by the Lindstrom from *Biscuit Love* in Nashville, Tennessee. 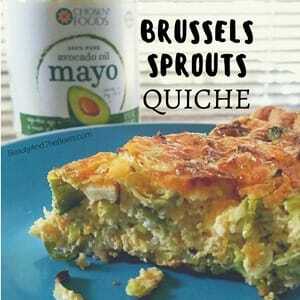 Why can't you have Brussels sprouts for breakfast? 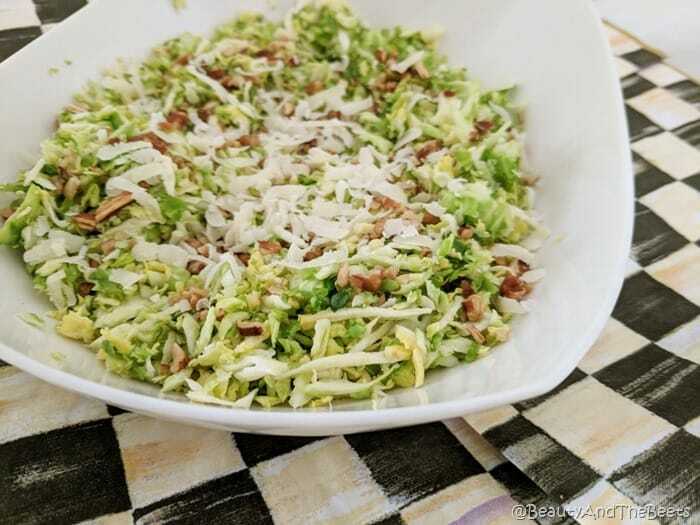 Shred the trimmed Brussels sprouts using the shredder attachment on your food processor or by hand on a box grater. 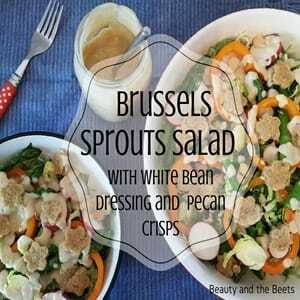 Toss the sprouts in a bowl with the lemon vinaigrette, then divide among two serving bowls. 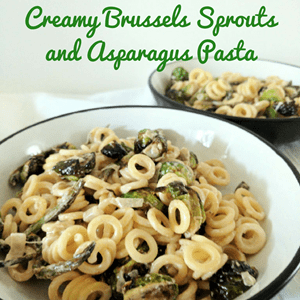 Sprinkle the pecans and shave parmesan cheese over each of the Brussels sprouts bowls. Top each bowl with two poached eggs each and grate with fresh pepper. Can’t believe we missed this, our apologies for being tardy to this party! Thank you for visiting us and coming to our Hillsboro Village location! GREAT JOB recreating our Lindstrom that looks delicious and the pecans are a good sub for hazelnuts for sure! We hope you’re able to visit us again if you’re ever back in Nashville!